Busy people from all backgrounds are grateful to pause and enjoy a refreshing few minutes of meditation each day. Dive deep into yourself and enrich your life. In meditation, healing can happen. When the mind is calm, alert and totally contented, it is like a laser beam- it is very powerful and healing can happen. Great benefit may be derived from participating in a one-on-one guided meditation session. Learn to focus your mind and cultivate inner peace. Private meditation sessions are R400 per session with a 50% deposit required at time of booking. Perhaps you have experienced meditation and want to learn even more about this amazing practice on your path to enlightenment. Gain a deeper understanding through our courses. This is one on one specialized meditation course with a cost of R5000 per full 10 sessions, 50% deposit required when booking for this course. Powerful energy is shared in our guided group meditation sessions. Check our events calendar for the next scheduled session. These group meditation sessions generally take place twice per month. Check our events calendar for the next scheduled session. The cost is a suggested donation of R100. Buddha taught that all our problems stems from our delusional minds which in turn formed an ego or a “false I” from beginingless time. For us to overcome this, the only method is meditation. This practice has many phases which the practitioner goes through. In short, to first start cultivating inner peace so that whatever appears from the mind we won’t react or act inappropriately resulting in doing further harm to ourselves and others and enforcing our ego or delusional minds. We would start by using the breath as support when we start to meditate to focus on, and not attaching to, all the many thoughts that run through our head as we practice. Over time our thoughts will slow down and we will start experiencing a deep inner peace at our heart centre. How wonderful. So we could first think of meditation as introspection, as standing back, observing our thoughts, not clinging to them. Learning to meditate is the greatest gift we can give ourselves in this life. For it is only through meditation that you can undertake the journey to discover your true nature, and so find the stability and confidence you will need to live, and die, well. Meditation is the road to enlightenment. 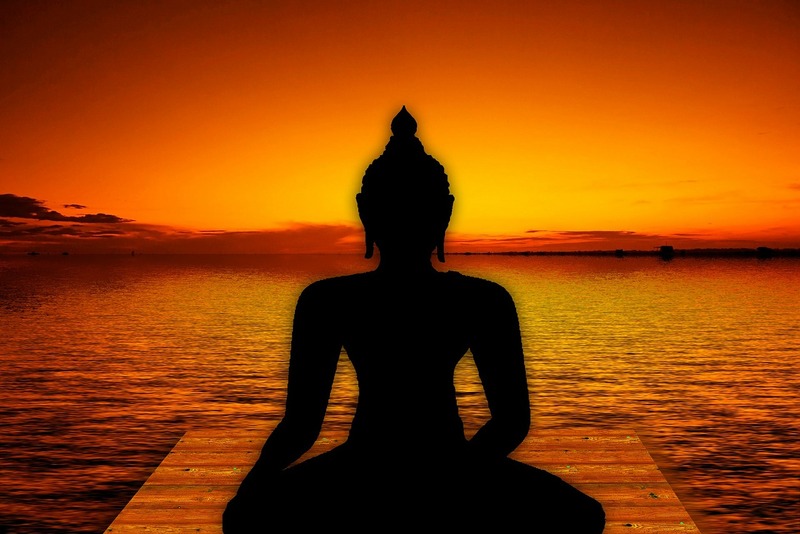 As Buddha said, “there is only one thing that won’t deceive us and that is Enlightenment”, which is the highest truth and state without suffering, also called nirvana. The greatest benefit we get from meditation is purification of our minds so that we can realize the ultimate truth. Enlightenment means “Omniscient wisdom free from all mistaken appearances”, so we will see things as they really are, as Buddha did, and be liberated from this suffering realm forever. How wonderful…from a pure mind comes a pure world.